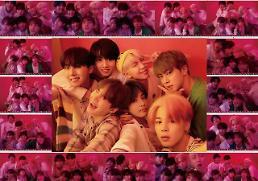 SEOUL -- BTS grabbed the top place on Billboard's weekly popular albums chart with its repackaged album "LOVE YOURSELF: Answer", almost three months after the K-pop sensation set a milestone in the Korean music history with "Love Yourself: Tear". 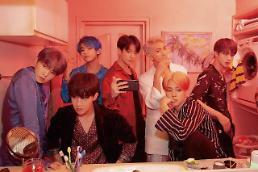 The new album, released on August 24, arrived atop the list on Billboard 200 chart with 185,000 equivalent album units earned in the week ending August 30, Billboard said, citing Nielsen Music. The group's previous album rose to the top on Billboard 200 chart for the first time in 12 years as a non-English album. 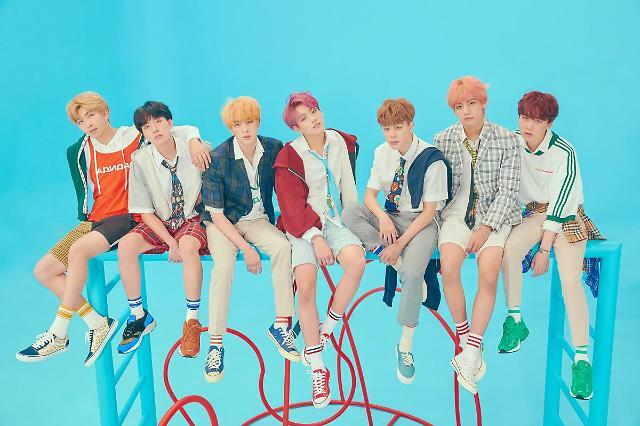 Last week, the music video of "IDOL", the title track of "LOVE YOURSELF: Answer", garnered more than 100 million views on YouTube in less than five days of its release.